Bungalow consists of: kitchen, bathroom, 2 bedrooms, living-room. On the premises: parking lot. We warmly invite you to a holiday! Rooms with bathrooms. On the premises parking lot. Number of places in room: 150. We offer rich menu. Bungalow consists of: 2 rooms, fully equipped kitchen, bathroom. On the premises parking lot. We invite you to take advantage of our offer - satisfaction guaranteed. Bungalow consists of: living-room with fireplace, kitchen, bathroom, 2 bedrooms. The facility is open: from May to September. Bungalow consists of: kitchen, bathroom, 3 bedrooms. Bungalow is equipped with: TV set, radio. Bungalow consists of: 3 bedrooms, fully equipped kitchenette, bathroom, terrace with exit to the garden, living-room with fireplace. On the premises: garage. The facility is open: all year round. Bungalow with 2 segments. On the ground floor: 2 bedrooms, kitchenette, bathroom, terrace. Upstairs: 2 bedrooms, kitchenette, bathroom, terrace. On the premises parking lot. Bungalow consists of: living-room, kitchen, bathroom, 2 bedrooms, terrace. On the premises parking lot. Bungalow consists of: fully equipped kitchen, bathroom, bedroom, living-room. Bungalow is equipped with: new furniture, TV set, garden furniture. 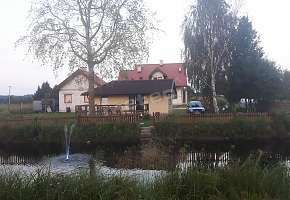 To the lake 200 m. We guarantee satisfying stay and nice atmosphere. Bungalow with floor area of 65 m2. Bungalow consists of living-room, bedroom, fully equipped kitchen, bathroom, terrace. Bungalow consists of: living-room, kitchenette, bathroom, 2 bedrooms, terrace. 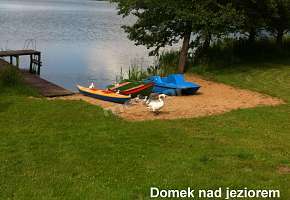 The object is located by the lake Narie. Bungalow consists of: kitchenette, bathroom, 2 bedrooms. House two-level. House consists of: living-room with fireplace, bedrooms, kitchenette, bathroom. On the premises parking lot. The facility is open: from May to September. Quiet and calmness will make you return many a time! Bungalow brick. On the ground floor: kitchenette, living-room with fireplace, bathroom, terrace. Upstairs 2 bedrooms. 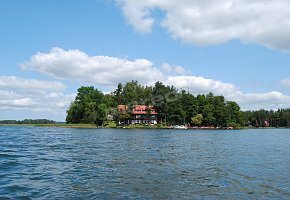 The facility is located: by the lake Narie. The town centre 25 min. Bungalow consists of: living-room, bedroom, fully equipped kitchenette, bathroom. Additionally on the premises place for grill. We invite: from May to October. Bungalow consists of: living-room with fireplace, kitchen, 2 bedrooms. Additionally on the premises: brick grill in the garden, terrace. On the premises: parking lot. Bungalow consists of: kitchenette, bathroom, 2 bedrooms, terrace. On the premises parking lot. Bungalow consists of: bathroom, bedroom, living-room, fully equipped kitchenette, terrace with exit to the garden. On the premises: parking lot. The facility is open: from May to September. Bungalows for 6-7 persons. Bungalow consists of: living-room, kitchenette, bathroom, 2 bedrooms. Apartment consists of: living-room, kitchenette, bedroom, bathroom, terrace.